Very, very belated birthday wallpaper for kristen_mara. The bunnies have been completely unco-operative recently, so I suggested Stephen graphics as an alternative, and this was the result. Oh this is totally fab!!! Is that a texture you;ve used around the edges or one of those fade effects? It's all gradient/fade effects on the pictures themselves. It seems to have become one of my favourite graphics effects with GIMP, it's so useful for so many things! OMFG, so much pretty! And there is no bad in a pretty man with big guns! Lovely work. Lol, I had feeling you might approve of this one! Guh! 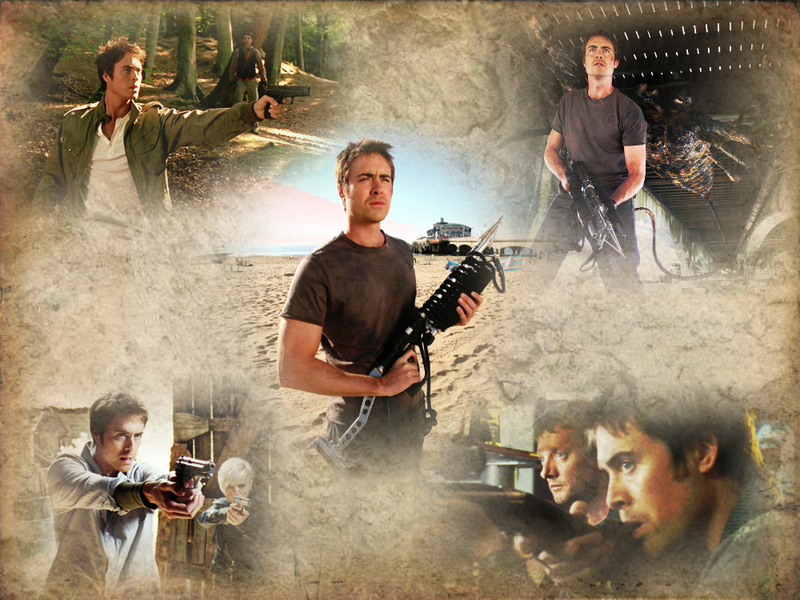 Five times pretty Stephen with a gun. Plus bonus Nick. Hee, thanks. Stephen with a gun seemed like a good theme. Thanks. See, I am capable of making graphics that don't have Becker in them! That is an extremely tasty bit of work you've done there :-D You've obviously been sharpening your GIMP skillz! Thanks. I've been getting plenty of practice with all the icon competitions, but to be honest I find it much easier to make large graphics like this than icons. Ooh that's very yummy! Nice job! Thanks very much; it's gorgeous!